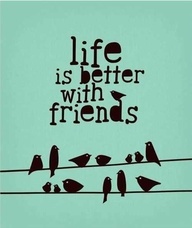 Today I am thankful for my friends! I've had friends for 30+ years and I have friends that I just met - all of them are special to me. Friends are the family that you get to pick!